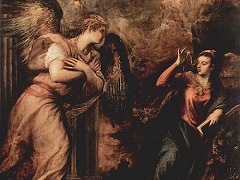 Titian's uniqueness lies in his almost mystical use of colour. Where Florentine artists such as Michelangelo began by drawing the figure, Titian painted more freely, with a thick, richly textured surface obtained by painting on rough twill canvas, and with an uncanny understanding of light. In a sense Titian is a scientist, an experimenter in the optical effects of colour relationships and the way in which we retain visual memories. 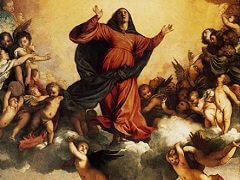 Titian tested his pigments' brightness in the most audacious way in his Assumption altarpiece in the church of the Frari in Venice, a light-filled painting set against a vast window, complementing the light of nature - and rivalling it. "The sun is God," said Turner. 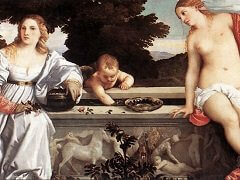 In painting, Titian is. 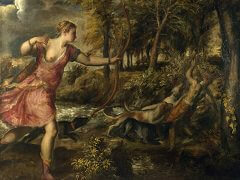 Titian makes a rare personal confession in this, his last painting. He includes a self-portrait in the bearded figure of the old man who gently holds the hand of the dead Christ, the last in a series of self-portraits that include Allegory of Time Governed by Prudence (1565-70) in the National Gallery. Titian painted the Pietà when Venice was struck by plague. It was made as an ex voto offering, a prayer for the survival of himself and his beloved son, Orazio. In the bottom right-hand, propped under the stone lion, is a tablet on which Titian and Orazio are depicted praying to the Virgin for delivery from the plague. His plea went unanswered. 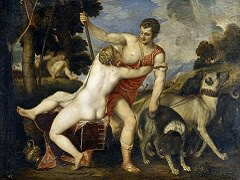 Titian is recorded as having died "of fever" on August 27, 1576. Orazio also died during the plague. Distinguishing features: The master of light here plunges into darkness, makes death's night visible. Glimmers of silvery torch- and moonlight on the mosaic canopy above Christ, on the statues of Moses and the Sybil, most of all the pale glowing flesh of the body of Christ accentuate the terrible gloom; it is overwhelming, and extremely personal. Titian's terror makes the Christian images of redemption (that flicker of heavenly gold on the half-dome, the prophetic figures, the vegetation on the stone pediment) anything but reassuring. 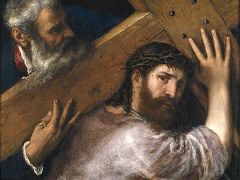 While the painting pleads for salvation, the emotional texture is of fear and horror: the closeness of death. The stone oppresses the mind; the statues are bodies frozen into stone, like a corpse with rigor mortis; the atmosphere of the painting is thickened, as if the air were poisoned. 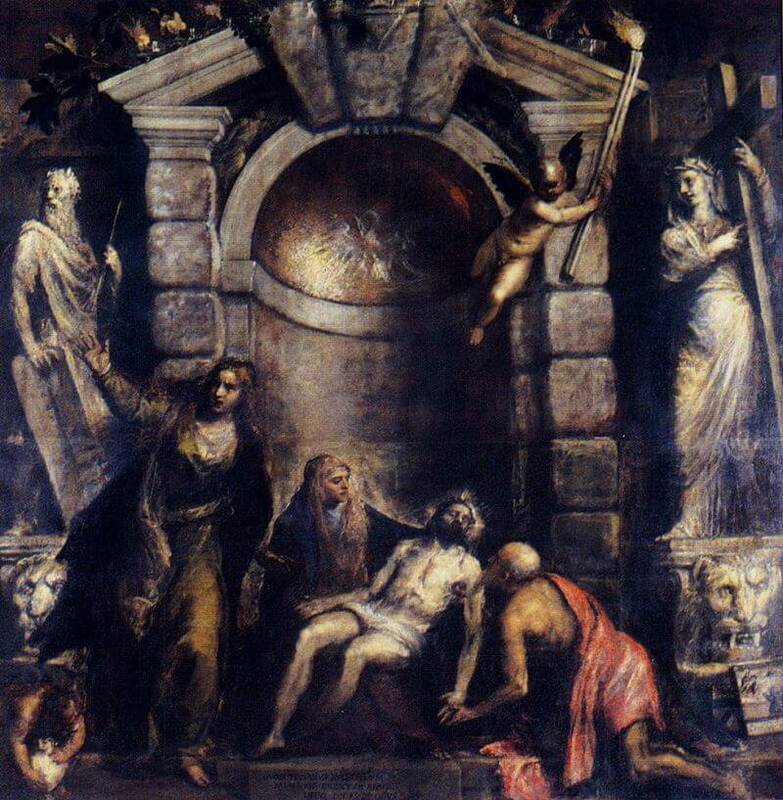 This painting was offered by Titian to the Church of the Frari in a deal that would permit him a tomb there; he died with the painting unfinished, the deal unmade. It has the scale of an altarpiece, yet turned towards the night, a sombre pendant to his golden Assumption. Titian was a believer, and this painting is full of hints of resurrection - but the sense of dread makes it almost unbearable as Titian says farewell to light.